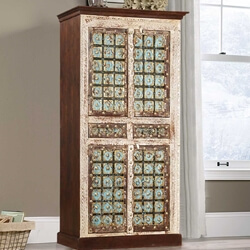 Rediscover classic styles with historic charm. 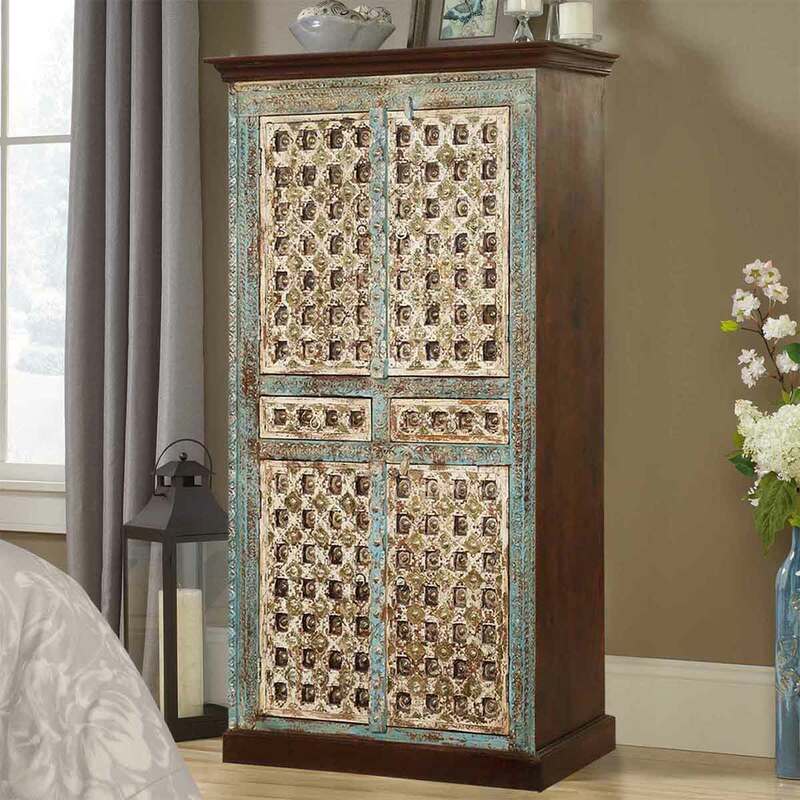 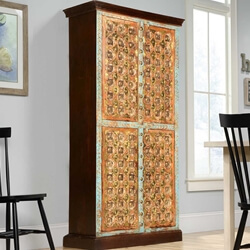 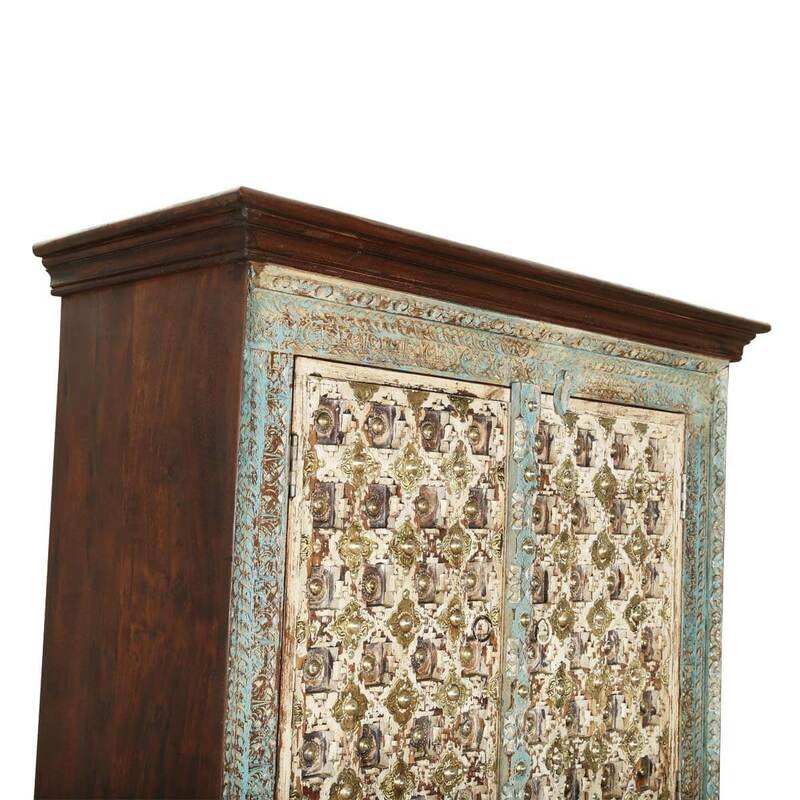 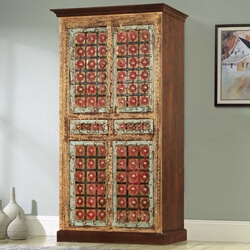 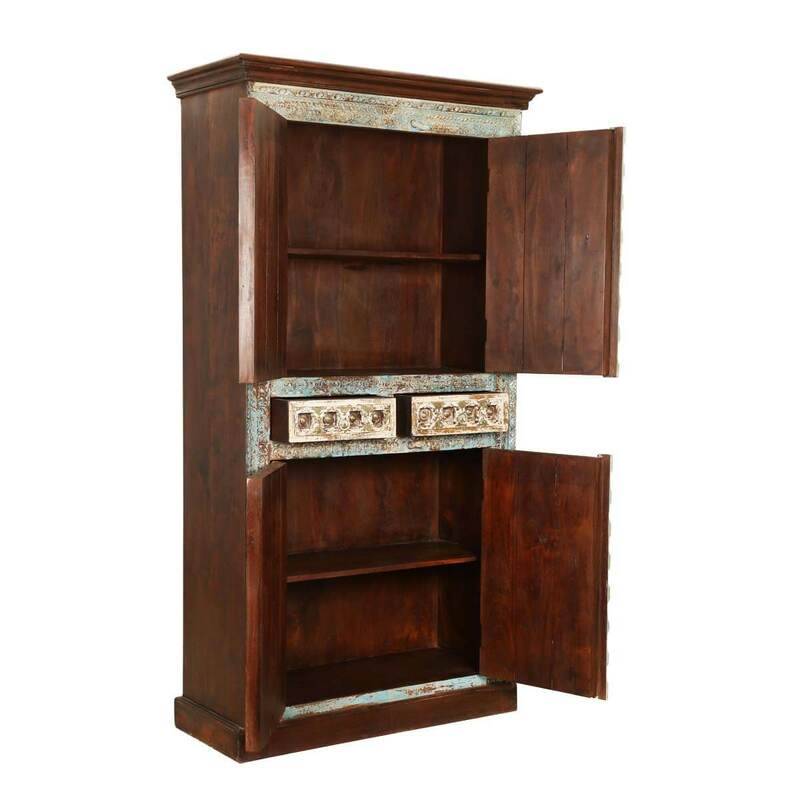 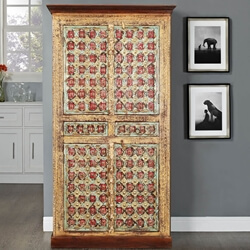 Our Forgotten Empire Brass Inlay Solid Wood Tall Storage Cabinet Armoire offers organized space any king or queen would love. 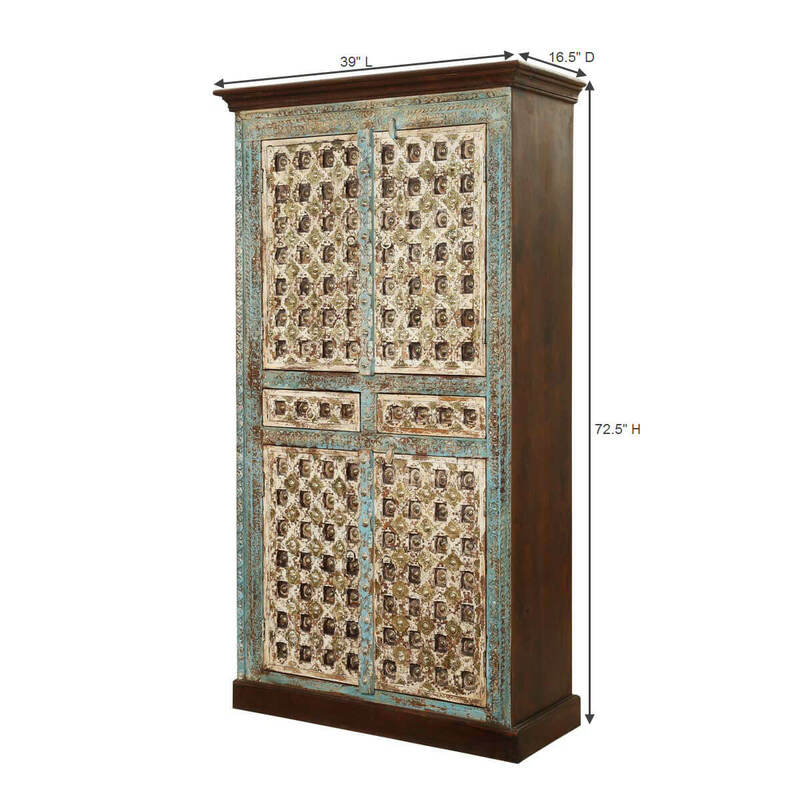 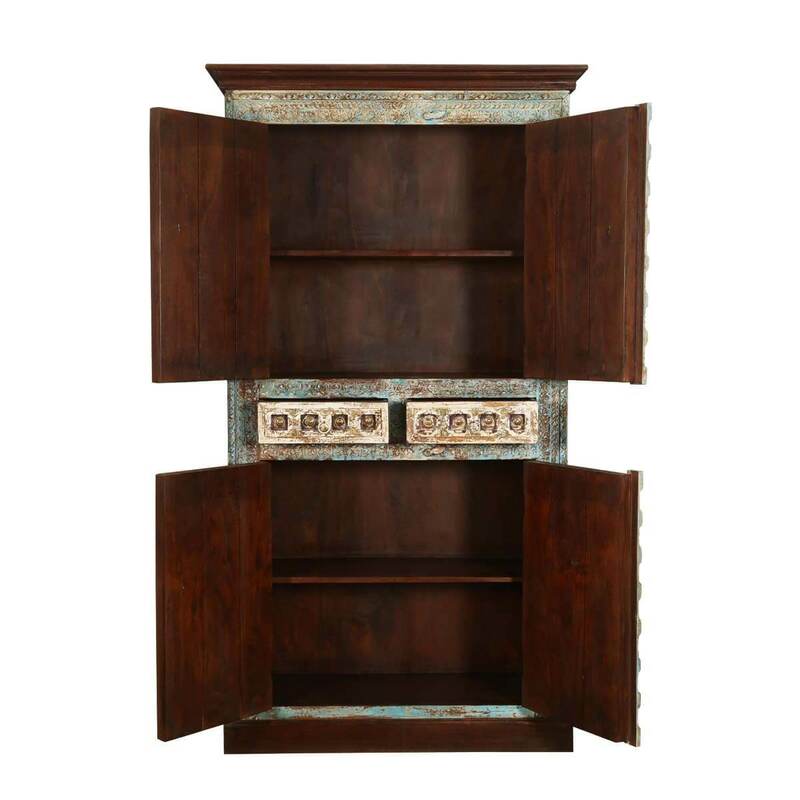 The large divided tall storage cabinet armoire is designed with an upper and lower 2-shelf cabinet separated by two small drawers in the center section. 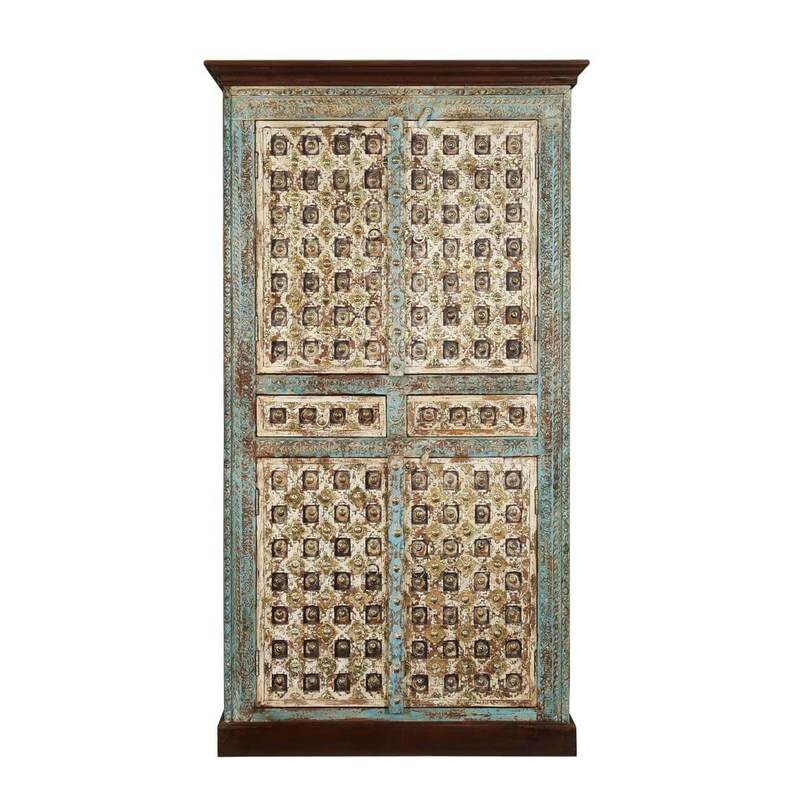 The front features a lattice design with brass ornamentation in each square and textured light blue framing. 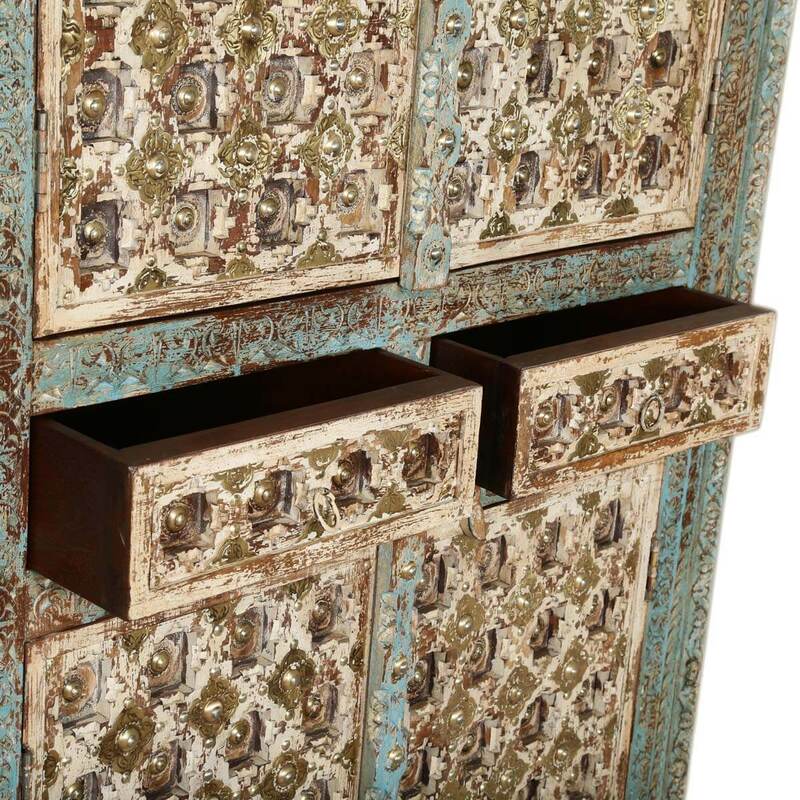 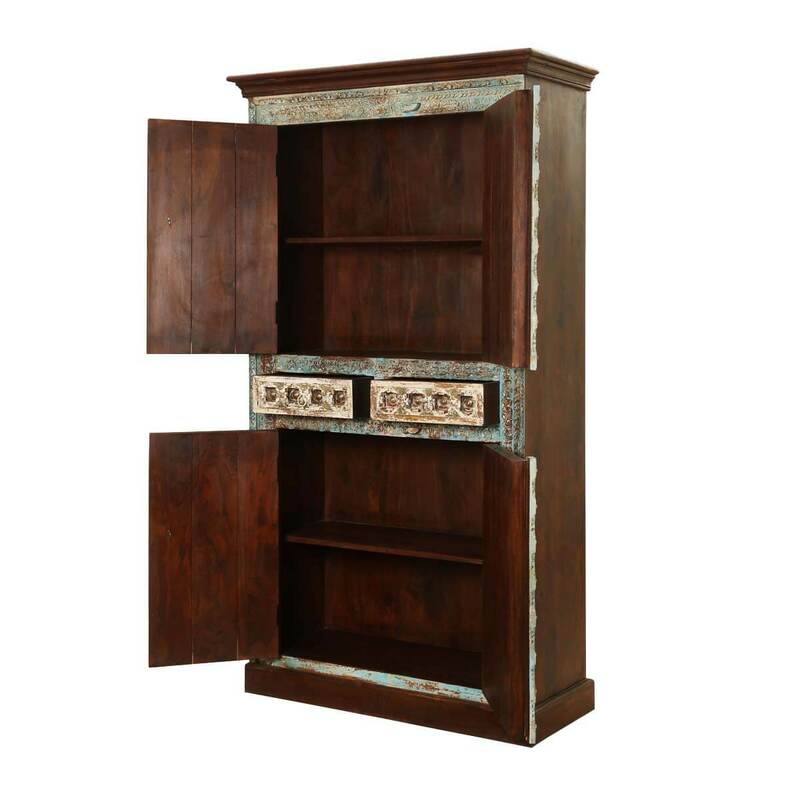 This tall storage cabinet unit is built with solid Mango wood, a tropical hardwood grown as a renewable crop.